1) What is Performance Testing? The process of testing to determine the performance of software product. 2) What is Load Testing? 3) What is Stress Testing? A type of performance testing conducted to evaluate a system or component at or beyond the limits of its anticipated or specified work loads, or with reduced availability of resources such as access to memory or servers. 4) What is Spike Testing? Verify the System’s performance under sudden increments and decrements. 5) What is Data Volume Testing? 6) What is Endurance Testing? It is a Performance Test Tool from HP. It supports all aspects of Performance Testing like Load, Stress, Endurance, spike and Data volume testing. 8) What are the tools available in the industry for Load Testing? 9) What is latest version of LoadRunner? 10) What is the scripting language that used in LoadRunner? 11) What are the 4 important components in LoadRunner? 12) How do you identify the performance bottlenecks? 13) If web server, database and Network are all fine where could be the problem? 14) How did you find web server related issues? 15) How did you find database related issues? 16) Explain all the web recording options? 17) What is the difference between Overlay graph and Correlate graph? It overlay the content of two graphs that shares a common x-axis. Left Y-axis on the merged graph show’s the current graph’s value & Right Y-axis show the value of Y-axis of the graph that was merged. Plot the Y-axis of two graphs against each other. The active graph’s Y-axis becomes X-axis of merged graph. Y-axis of the graph that was merged becomes merged graph’s Y-axis. 18) How did you plan the Load? What are the Criteria? 19) What does vuser_init action contain? 20) What does vuser_end action contain? 21) What is Performance Test Tool? Facilities: load generation and test transaction measurement. Load generation can simulate either multiple users or high volumes of input data. During execution, response time measurements are taken from selected transactions and these are logged. Performance testing tools normally provide reports based on test logs and graphs of load against response times. 22) What are the phases in LoadRunner Test Process? 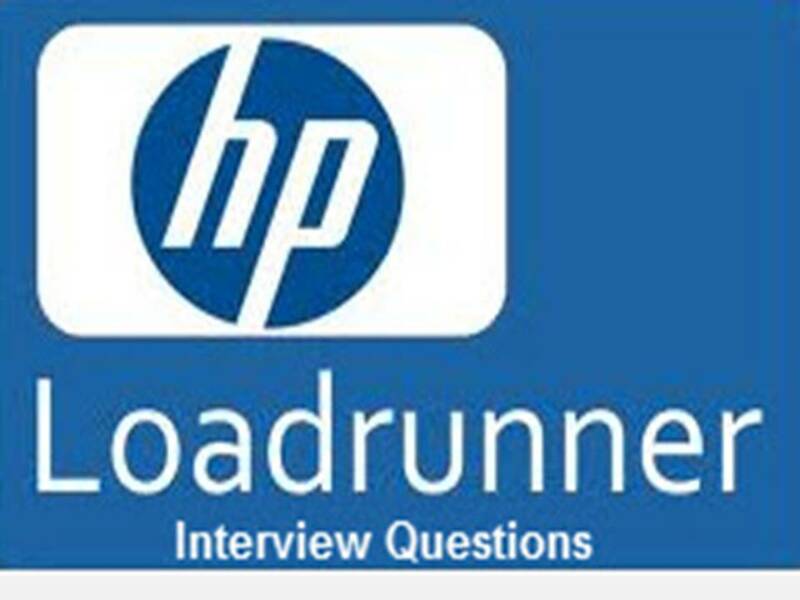 23) How LoadRunner interact with Software Application? LoadRunner interacts with Software Application based on Protocols. A set of rules that enable Computer devices to connect and transmit data to one another. Protocols determine how data are transmitted between computing devices and over networks. 25) What are the important Protocol Bundles that LoadRunner supports?